Serious eaters know that Vermont is the place for craft beer, award-winning cheeses and flavorful maple syrup. But salami? While meat-curing rooms are still more common in Italy than in the Green Mountains, they’re the reigning trend at an increasing number of Vermont restaurants. At Hen of the Wood in Burlington — the award-winning Waterbury resto opened this second location last year — chef Eric Warnstedt sources whole local animals and employs almost every cut in his hearty dishes, from head cheese to sausage. A few miles away, the commissary for the Farmhouse Group supplies its five restaurants — including South Burlington’s Guild Tavern and Church Street’s newest spot for Italian fare, Pascolo Ristorante — with fresh speck, etc. 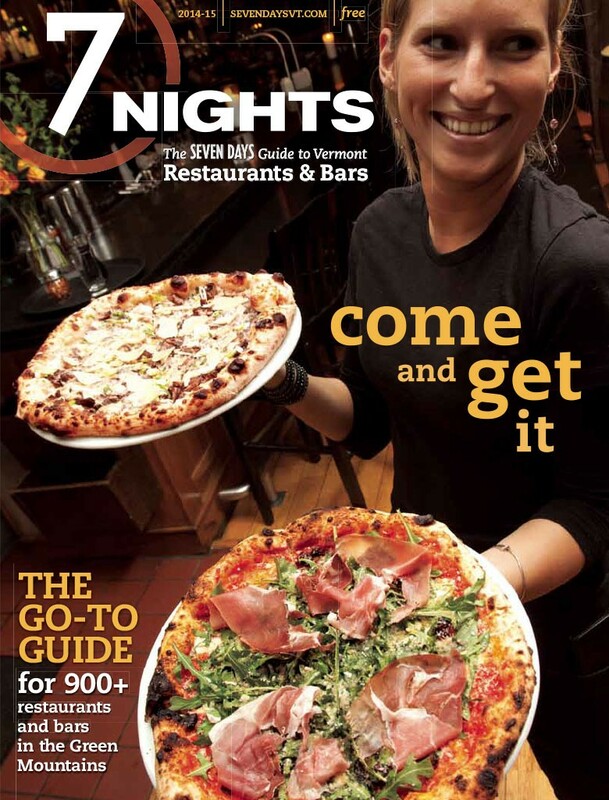 What hasn’t changed since we began publishing 7 Nights more than 10 years ago is the dizzying array of eateries in our state, from classic diners to centuries-old taverns to sleek cocktail bars. Whether you’re looking for a hip Winooski bakery or a sumptuous mountaintop meal in Stowe, we’ve got it covered. Don’t we know — and love — it.